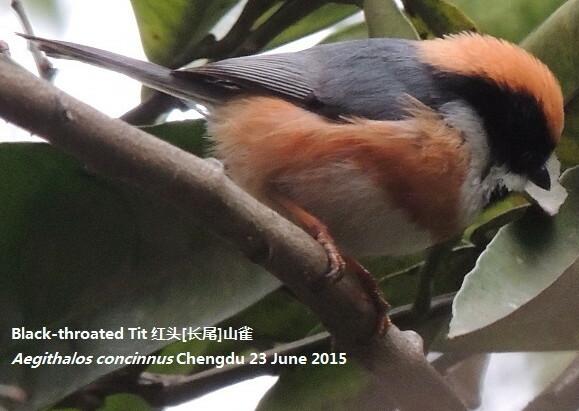 Chengdu has some great parks, which can be good for birding at any time of year. 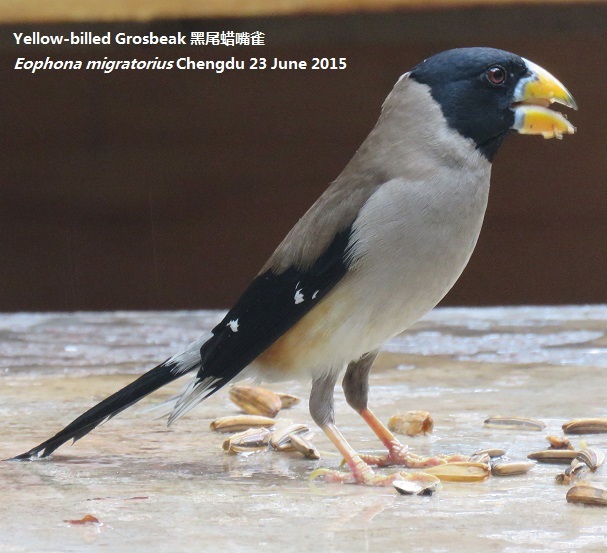 People's Park 人民公园 is a good place to get close-up pictures of the grosbeak. 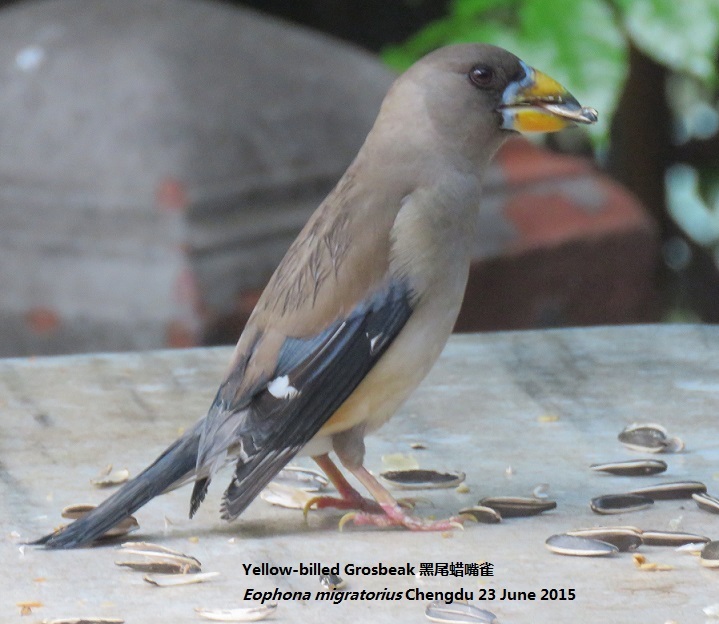 Food is put out for them in the mornings at the Heming teahouse. There are plenty of direct flights from Hong Kong though expect delays of 2-3 hours on every flight. There are lots of good camping and trekking equipment shops near the Tibetan district.